The JA Company Program is a catalyst for a new generation of entrepreneurs to gain the skills they need to succeed and take their big idea and turn it into action. Junior Achievement of the Palm Beaches & Treasure Coast is committed to the boundless potential of every young person— unlocking the innate ability of students to fill a need or solve a problem in our community by launching a business venture, unleashing their entrepreneurial spirit. But the JA Company Program isn’t just for future entrepreneurs. These are real skills for real life that can help each student, no matter where they are headed, find success in the modern economy. 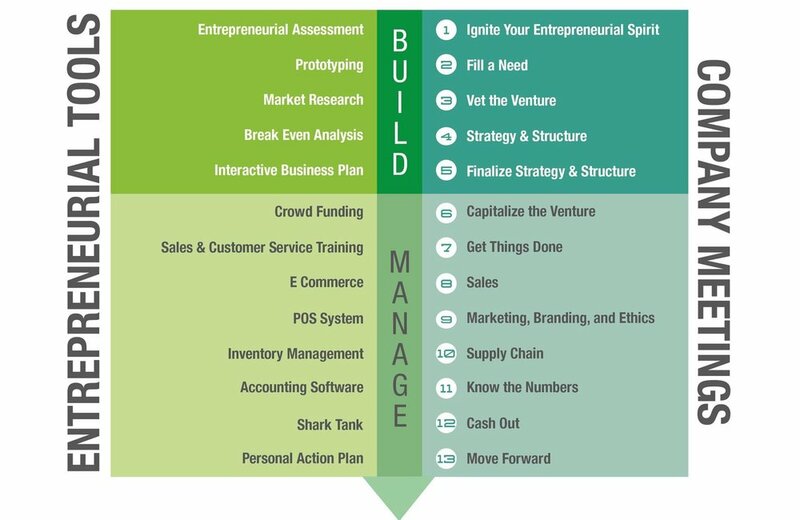 When students complete the Company Program, they will demonstrate the fundamental acumen needed in a successful business startup, including leadership, marketing, sales, financial management, and supply chain management. They will create a personal action plan incorporating 21st century career readiness skills. Most importantly, they will be equipped with tools to take the rudder and navigate their path to their dreams.